A year ago I said ‘If The Weight of These Wings doesn’t win Best Country Album in February, I will absolutely baffled’. I’m still baffled that Miranda Lambert’s masterpiece and one of the best country albums of the decade missed out on even a nomination last year, and so my predictions this year have been thrown out and redone multiple times. Some Grammy favourites are here once again, but could they suffer the same fate as Miranda? Going into this Grammy nomination season I was convinced that Bebe Rexha and Florida Georgia Line’s huge crossover hit Meant To Be was going to get at least one Grammy nomination. What I didn’t expect is that it would actually be submitted for the country categories, despite doing well at various country award shows and STILL being at #1 on the Hot Country Songs chart after 47(!) weeks. I thought they’d stick to Bebe Rexha’s ‘home’ genre since it had been such a big hit at Pop radio too. The fact that Florida Georgia Line have missed out on a single nomination at the Grammys so far could prevent Meant To Be from cleaning up here, but I’m convinced it will at least feature in Duo/Group Performance. Other long overdue acts looking to score a nomination? Luke Bryan might finally make it in thanks to Straight To Hell his collaboration with Grammy favourites Darius Rucker, Jason Aldean and Charles Kelley, while Eric Church is looking to get his first nomination since 2013 for Desperate Man. Carrie Underwood is looking to get her first nomination for Country Album, despite consistently having some of the most successful albums in the genre year after year. I don’t think Cry Pretty will be the album to get her there sadly, though she’s a 100% dead cert for Country Solo Performance for the thrilling title track which could also become her first writing nomination for Country Song. Of the acts who are tipped for success at the upcoming CMA awards I’ve opted to predict Dierks Bentley will pick up the nominations that would probably have been reserved for Keith Urban. I think country voters may have been put off by just how Pop Urban went with album Graffitti U, I really can’t see an album with 17 different producers picking up an nomination in a country category. Dierks is a safe choice, especially following his terrific collaboration with Brothers Osborne Burning Man which ticks all of the boxes for Country Duo/Group Performance for me. Brothers Osborne have also been nominated in this category for the last 3 years, so can’t imagine them being left out this year. Probably their biggest competition for Duo/Group Performance is also my prediction for Best Country Song. Dan + Shay’s Tequila not only flips the expectations you’d have from that title, but stands as one of the strongest country songs to make it to the top spot in the chart this year. I think they will have a lot of support behind them, so could even get a nomination for the Album too. Sugarland’s Babe that saw Taylor Swift return to Country once again is a definite in these categories too, it’s weird to think there’s a chance we will see Taylor vs Ed Sheeran for Best Country Song. I wouldn’t write off Little Big Town who have won this category 3 out of the last 6 years, so could sneak in for When Someone Stops Loving You, while back in Solo Performance, Miranda Lambert could make up for her snub last year by being nominated in this category for the third consecutive year. For newer artists looking to pick up their first nominations, Kane Brown could manage one for Heaven after missing out last year, but alongside Luke Combs his success has come a bit too late for his album to be eligible. Speaking of Combs, he will surely pick up a nomination here, where I could also see Ashley McBryde taking his place in Country Album. I think voters will opt for these new acts over the likes of Tim & Faith, or Blake Shelton, though both could easily be on that list above. That leaves the two most obvious nominees and the acts everyone will be expecting to take home the 3 categories they appear in. 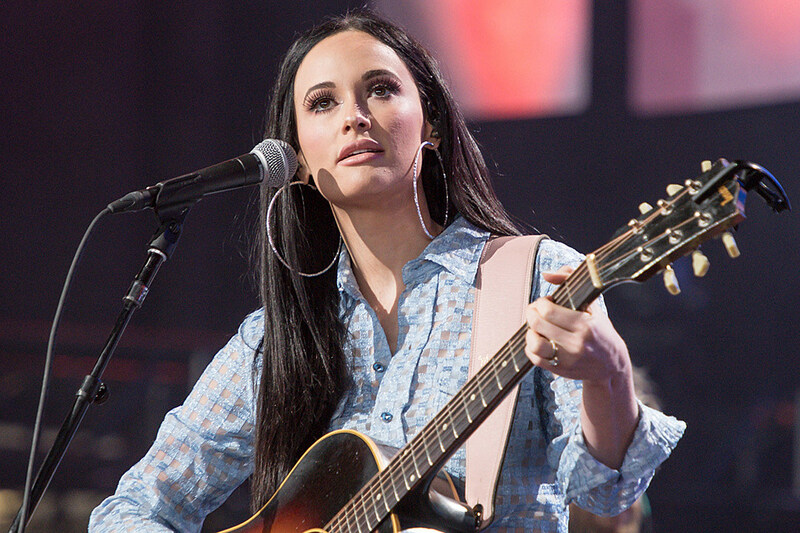 Chris Stapleton is looking to win his third consecutive Best Country Album and Best Country Solo Performance trophies, while Kacey Musgraves is riding high on one of the most critically acclaimed Country albums in recent memory. Interestingly both of them have submitted separate songs for Solo Performance and Country Song, with none of the 4 being big hits in the slightest. This could be a problem in the Country Song category, where I think Kacey has the edge with the magnificent Space Cowboy, but Chris has to be the favourite in Performance for album highlight Millionaire. Album could go either way and while my heart is telling me that Golden Hour is going to give Kacey about 10 Grammys this year, I think Chris Stapleton will become one of just a handful of artists who have won this category in consecutive years. I think that he could well win, even if Golden Hour ends up in contention for Album of the Year, that’s exactly the sort of thing that happens at the Grammy Awards. 2 deserving artists for sure, but Kacey Musgraves really should win it this year. Tags: Chris Stapleton, Dan + Shay, Dierks Bentley, Kacey Musgraves, Sugarland. Bookmark the permalink.